Our ducks hatched today! It was so exciting. We were able to use an ELMO and a projector and show the duck hatching on the wall so everyone could see. The second duck hatched shortly afterward. It took all day for the third duck to hatch, but now we have 3 healthy ducks in our pod. We are still waiting for our chicks to hatch. They have about 2 weeks left in the incubator. In honor of earth day, we are beginning a study of the rain forest, land and water, and ways to take care of our earth. Here are the rain forest activities I did last year. This week, I will be posting lessons on the earth and taking care of it. My Favorite Things This Week! This week, in the ABC center, Natalie made me a message out of letter cubes. Then she stood in front of me and showed it to me. It says "You are Beautiful." I loved it! Then she made me another one. She added "and kind." One my students wrote me this note this week while he was at the writing center. It made me laugh! As part of our study on fractions, we learned about symmetry. I used toilet paper rolls to make the chrysalis and toilet paper to wrap it up in. The butterfly was made from a small zip-loc bag, torn paper, and a pipe cleaner. I have the kids tear construction paper and stuff it in the zip-loc bag. Then I help them add the pipe cleaner. 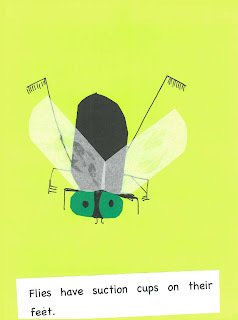 Go to TLC Lessons and download a free lesson from the newest book Insects Make-a-Book. The lessons in the book can be used when studying about Insects. 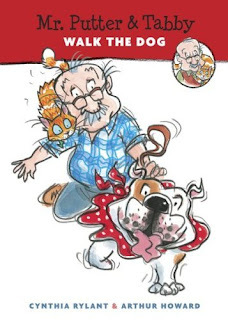 The lessons can be used individually or collected and put into a book for each child. 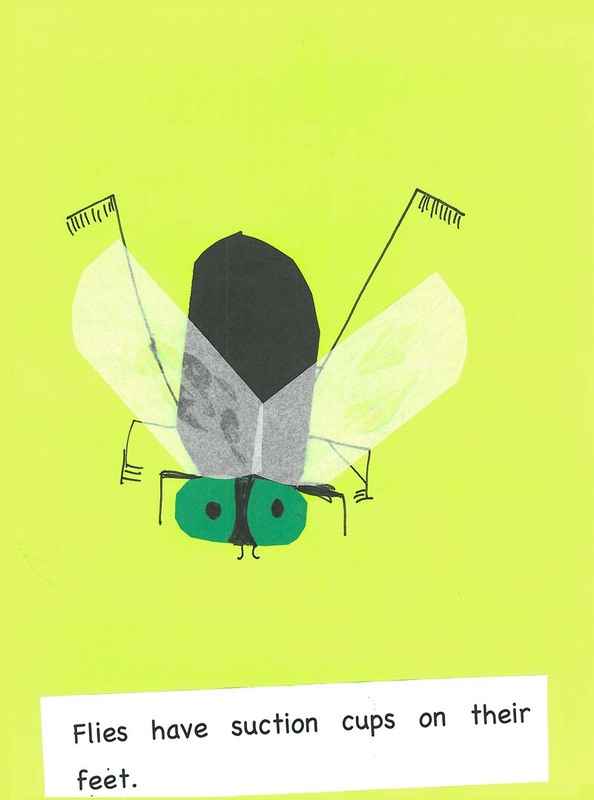 The book has 12 insect lessons plus instructions for a cover. The lessons are: Ant, Bee, Butterfly, Cockroach, Dragonfly, Firefly, Fly, Grasshopper, Ladybug, Mosquito, Moth, Praying Mantis, and Cover. There are facts about each insect in the book. This is an example of the free lesson for the fly. 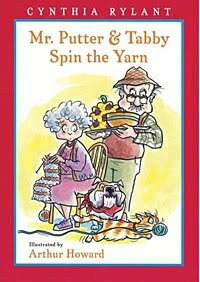 If you have not yet discovered Cynthia Rylant's Mr. Putter and Tabby series, then you are missing out! These books have become some of my favorites. My kids think they are hilarious. There are probably about 20 books or so in the series. I have listed my three favorites. It is really hard to choose though because they are all so funny! If you are studying insects, Dr. Jean has a great song called Insect's Body to use for learning insect body parts. It is on the CD Kiss Your Brain. All of the kindergarten classes wore insect headbands and sang the song for a Pride Rally performance. The song is to the tune of Head, Shoulders, Knees, and Toes. 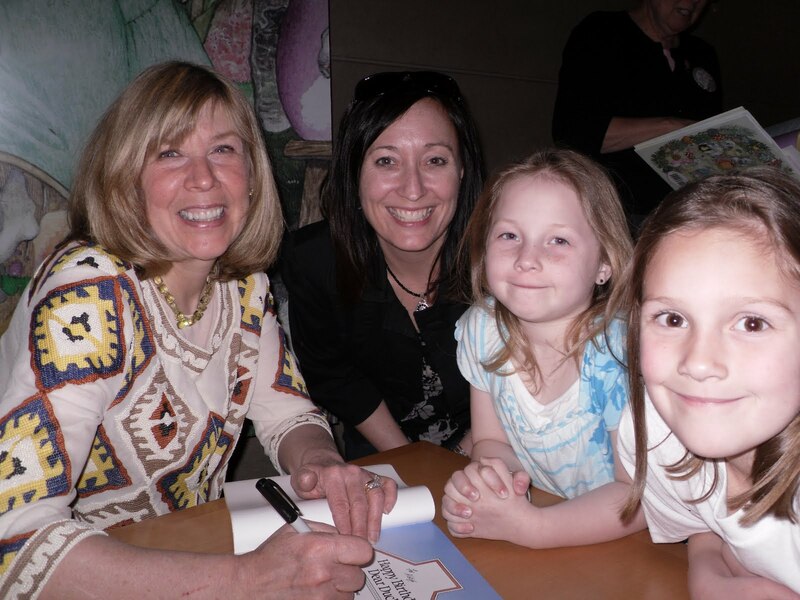 Last weekend, I took my daughter, Abby, and my niece, Alexis, to see Jan Brett at the Dallas Art Museum. Jan Brett is touring right now to promote her new book The Easter Egg. I loved listening to her talk about how she came up with the idea for the book and what she thought about the characters in the story. She was very funny and personable. We stood in line for a long time for autographs, but it was worth it! 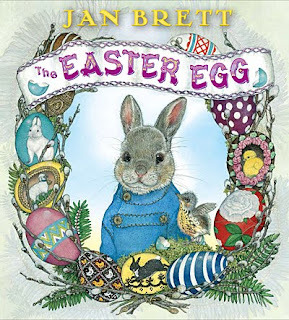 We read Jan Brett's new book, The Easter Egg. Then we talked about Hoppi, the rabbit's, character. 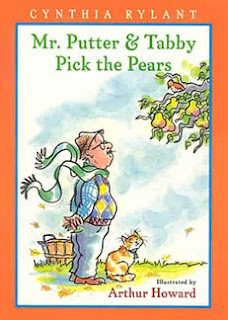 He talked about choices he made and the way he acted in the story. We used words like responsible, trustworthy, loyal, faithful, and proud. We made connections to the book, Horton Hatches the Egg, a book we read a few weeks ago at story time with Ms. Tricoli. Then we wrote about it. The rabbits are from TLC Lessons. We decorated eggs using a crayon resist. After reading The Easter Egg, a teammate did this activity with her class. This week, we talked about patterns. We looked at patterns in animal life cycles. 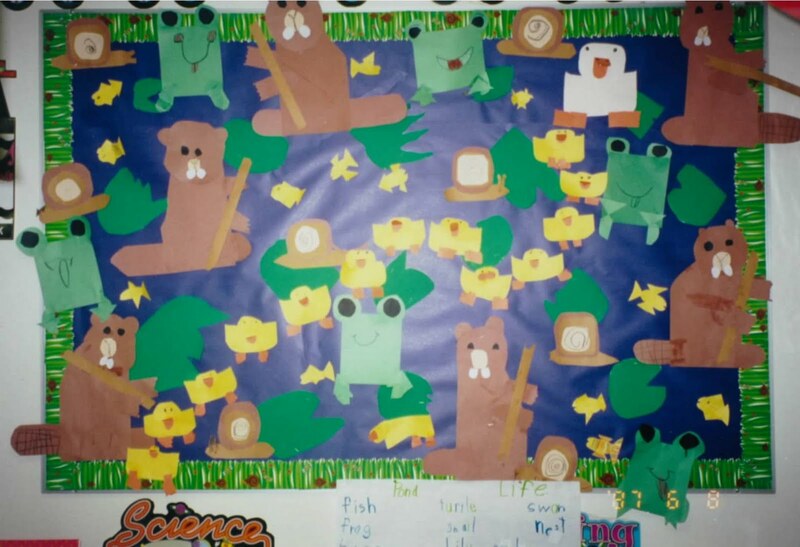 We used Pixie to create pictures for the life cycle of the chicken and the frog. 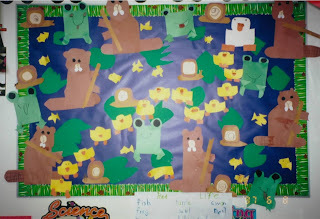 We put the pictures in a flow map to show the way the animals grow and change. We read the book The Very Hungry Caterpillar and made butterfly life cycles on paper plates.